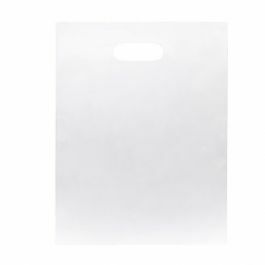 9" x 12" Frosted Retail Handle Bags are great shopping bags for smaller items such as books, boutique goods and more. 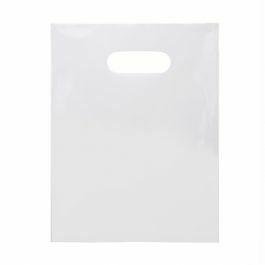 These 2.25 MIL bags are reusable and comply with single-use bag ban laws. They feature die cut handles for easy carrying and are made of recyclable material. Frosted material gives a premium feel while still showcasing bag contents. 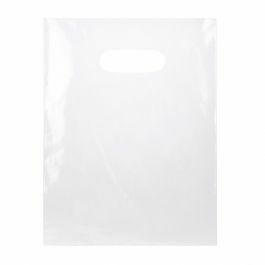 This 9" x 12" frosted reusable shopping bag is a great option for the premium retail environment. 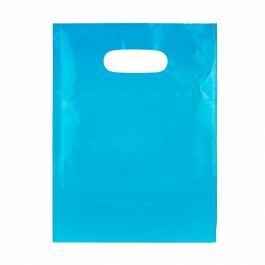 These bags are reusable and comply with single-use bag ban laws. The recycled, frosted material shows off bag contents and provides a premium feel. Die cut plastic handles make for easy carrying. 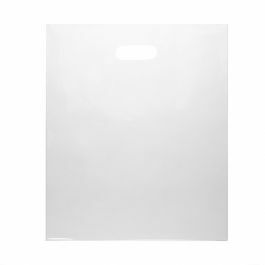 The smaller 9" x 12" size is perfect for holding books and other small items. 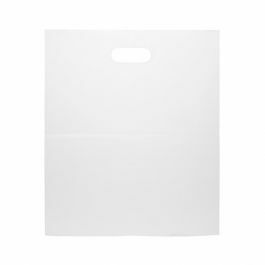 Bag material is printable, making it the perfect place to promote your brand.